Wine tasting. In the summer, that means beautiful sunny days, gorgeous rolling hills, blue skies, and warm breezes. But wine tasting in the fall and winter can be just as extraordinary. The leaves have turned, the harvest has been brought in, and there might even be a frost in the air. But the best tasting rooms are cozy and warm, often with intimate conversations around a roasting fire. And the gorgeous views are still there, even if you’re not outside. And best of all, wineries are generally quieter after the rush of fall harvest is over. Winemakers are often happy to have guests and have more time to spend talking with you, explaining the nuances of their wines. The crowds are sparse too which means less traffic and more time enjoying the wine. Here are my recommendations for a day of wine tasting at some of the most beautiful, cozy tasting rooms in the Willamette Valley, northern Oregon’s signature wine tasting region. 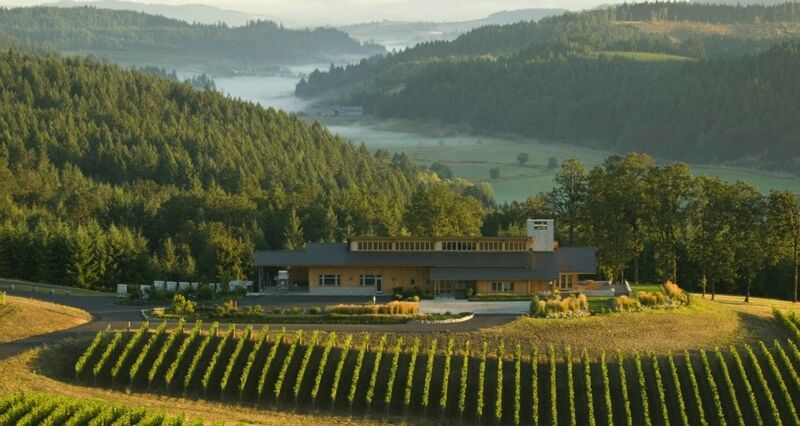 We’ll stop first at Willakenzie Estate, a family-owned winery located in the heart of the Willamette Valley wine country. The winery is named after the sedimentary soil on which the vines are planted to reflect the ultimate expression of “terroir”. They’re passionate about pinot noir and committed to sustainable farming; respecting the environment and the people who work in the vineyards and winery. Their tasting room is high on a hill with floor to ceiling windows overlooking a gorgeous valley of vines. Their patio is a coveted location during warm months, but their tasting room is equally warm and inviting during cool weather. Roots Wine Company is literally on the next hill over. Equally stunning, this small, sweet tasting room shows off the opposite view from Willakenzie. They too have a huge deck perfect for summer visits, but the warm, inviting people at Roots makes their tasting room a perfect winter destination. At Roots, it’s all about family. Winemaker Chris Berg and his family live on site, and his mom is often found in the tasting room greeting guests warmly. This is always a favorite stop for our son, as there’s an original, tabletop Ms. Pac-Man in a place of honor in the room! Chris makes his fair share of amazing pinot noirs but he also makes great whites including an outstanding and rare Melon de Bourgogne that was a hit with our Cellar 503 members. The French consider Melon the finest seafood wine in the world, so be sure to pick up a bottle for your next crab feast. High ceilings, jaw-dropping views of the valley, warm wood furnishings, a wood-burning fireplace and inviting tasting room staff combine to make Penner-Ash a perfect location for your next stop. 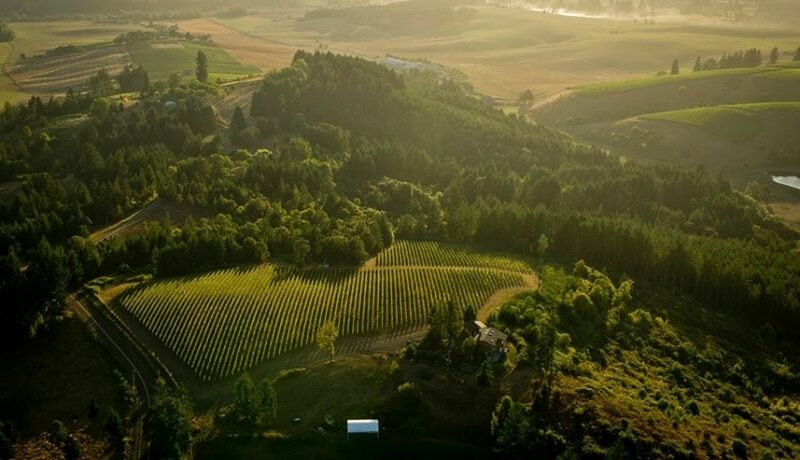 Winemaker Lynn Penner-Ash has been an influential member of the Oregon winemaking community for nearly two decades and her wines are some of the best in Oregon. Stop in for the view and enjoy their award-winning pinot noir, but make sure you don’t miss their Viognier and Riesling. Last, but certainly not least is a visit to Adelsheim Vineyard, one of Oregon’s founding vineyards. Originally planted by the Adelsheim family in the 1970s, their vision for simplicity and care for the land is still relevant today and seen in a strong commitment to sustainability practices. The tasting room was renovated about five years ago and the warm wood accents and gorgeous fireplace set the stage for a wonderful tasting experience. Ask nicely, and they’ll often let you walk up into the tower overlooking the property for a great view. Alongside the pinot noir and Oregon chardonnay, be sure to try the unusual and excellent Auxerrois – and finish your wine-tasting tour with a dessert wine made from pinot noir grapes! 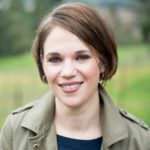 Carrie Wynkoop is the founder of Cellar 503, a wine club featuring unique, high quality, affordable wines that represent the full range of great Oregon wine. Cellar 503 is for anyone who loves Oregon wine and wants to explore.